Wow! Suzaku is looking just as proud as Lelouch uses to be! Awesome! I liked the strong colours here! Don't care what people say about Suzuku but I think he is just as awesome as Lelouch and it's great to have him in the series as a foil for Lelouch and vice versa. knight of the rounds. boo! 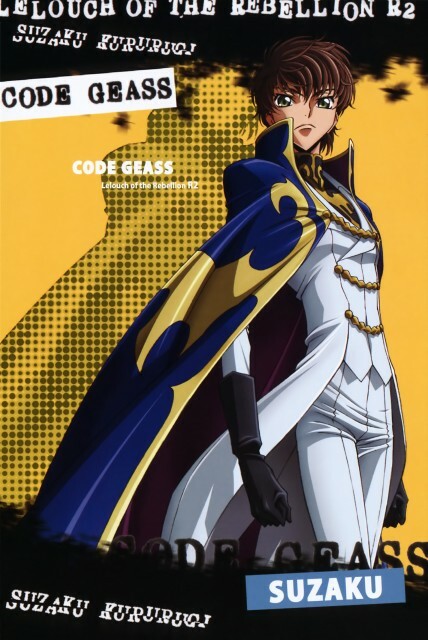 Suzaku is very cool man. wow! not words for this pic! this Sizaku looks so AWESOME! is a very good pose! so charming so cute! Suzaku is looks more powerful of knight.